The Board/Card/Strategy Game Armello will begin it’s conquest on Nintendo Switch on September 27th. The Switch will have two versions availabl; he Standard Game and the Complete Edition that includes the base game and all DLC. You can find out more about Armello and an announcement trailer for the game in the press release below. 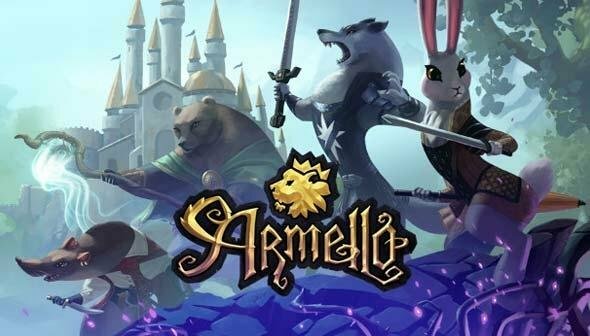 MELBOURNE, AUSTRALIA – Sept. 13, 2018 – Armello, the acclaimed fantasy digital board game from League of Geeks, will launch for Nintendo Switch™ on Sept. 27, 2018. Both Armello andArmello – Complete Edition are available to pre-order today via the Nintendo eShop for $19.99 USD / €19.99 / £14.99 and $39.99 USD / €39.99 / £29.99, respectively. To learn more, visit Armello’s official site, follow the game on Twitter, and like it on Facebook.